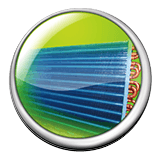 Ultra-Thin DC fan coils are the most effective way to utilize a heat pump’s energy savings. The whisper quiet DC fan coil come in 5 different sizes to retrofit any room. 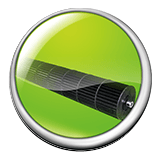 And unlike traditional radiators that just work on convection heat, the Fan Coil heater can cover 3 times the space of a traditional radiator. 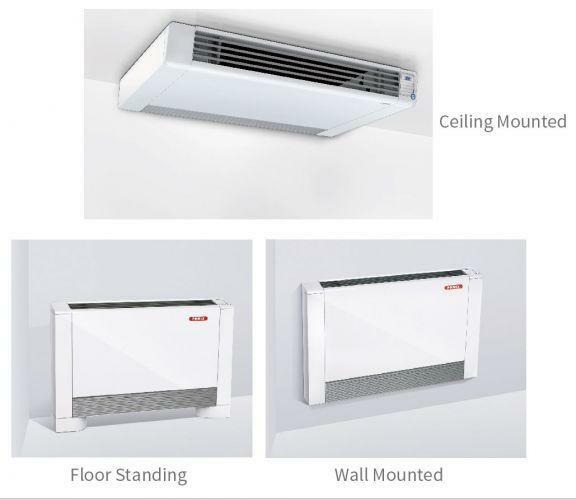 Heat and Cool – The fan coils are a versatile solution to both heating and cooling. 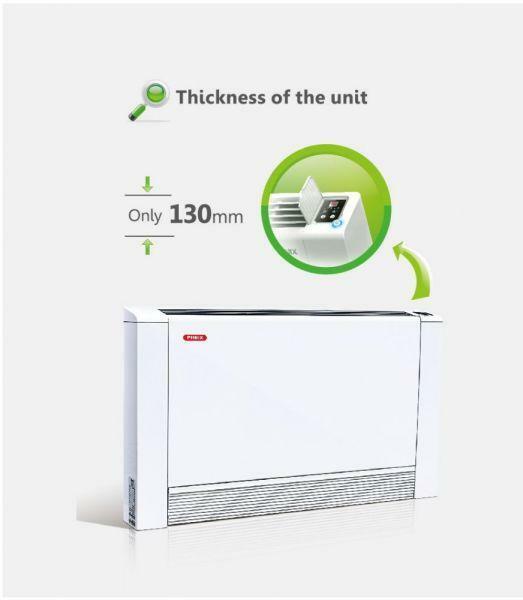 With a simple flip of the switch the Arctic Heat Pump will change to summer mode and provide cold water circulation through the fan coil. Quiet & Efficient– The brushless DC fan motors are the most quiet fans on the market and DC fans are exceptionally energy efficient drawing as little as 12 Watts to operate. Save over 30% versus other radiant heaters. 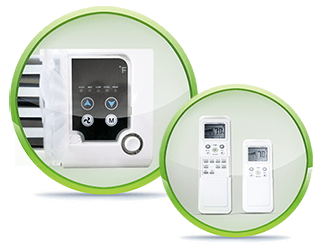 Comfort- because each room is controlled individually you can ensure that rooms not in use have a lower temperature than occupied rooms. 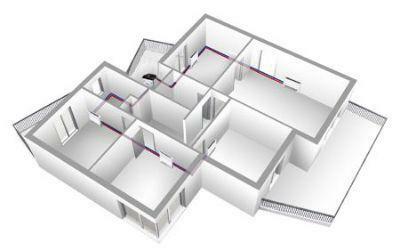 Each room has its own its own climate control. 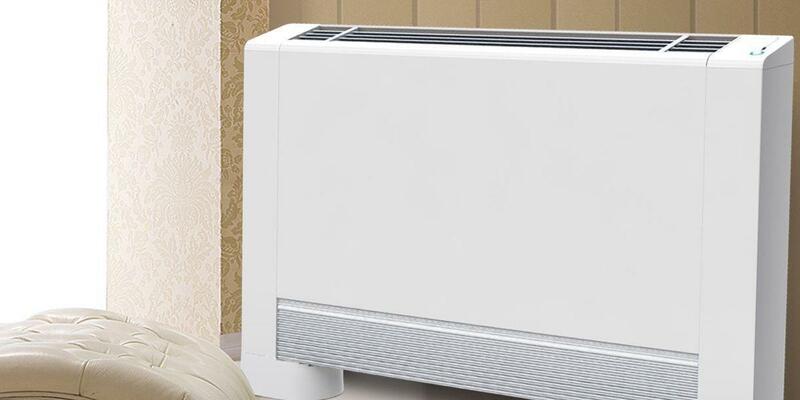 This reduces un-needed heating costs while increasing comfort. 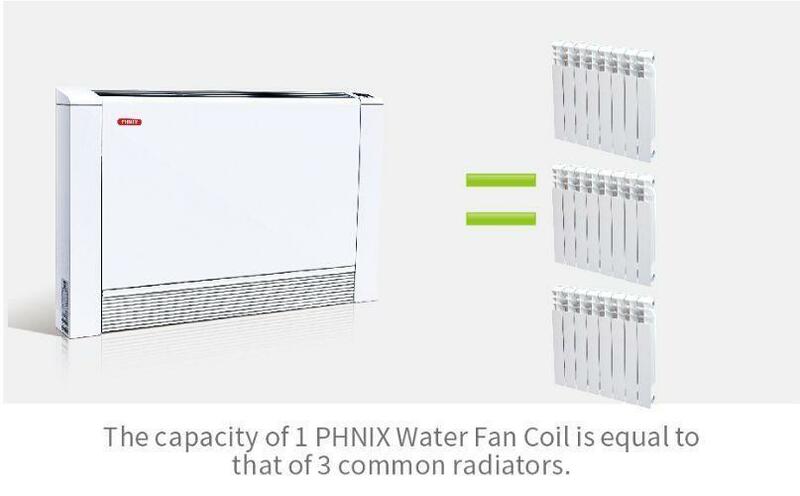 The Ultra-Thin Fan Coil is connected to inlet hot water pipes. 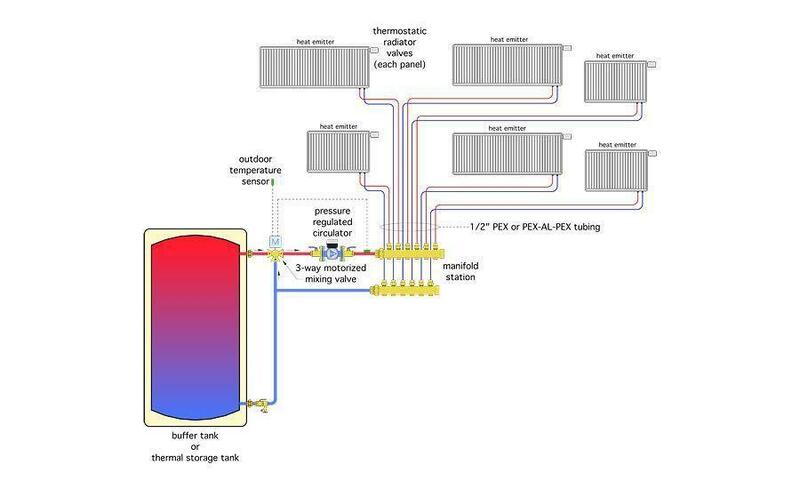 The unit’s aluminum fin heat exchanger transfers the heat from the hot water to the air. A fan blower inside the fan coil distributes the heat air twice as far in the same time as compared to standard radiators. Precise temperature controls ensure even temperature distribution so each corner of the room is just right. Set a different temperature for each room for comfortable spaces. Control the fan coil using the panel on the unit or by a convenient remote. 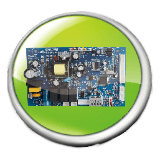 PHNIX multi-functional PCB can communicate with the wall thermostat, control the heat pump or boiler ON/OFF, and switch heating/cooling mode. 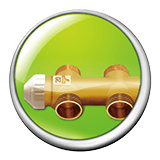 The units are always optimized with the use of an internal 3-way motorized valve which can improve the power utilization and reduce the energy consumption largely. The brushless DC fan motors results in lower noise and higher speed in operation while consuming minimal power (12 Watts). Copper tube/aluminum fin coil with hydrophilic coating heat exchanger ensures the units’ higher efficiency and a longer service life. Superior quality cross-flow fan produces larger air volume with lower noise (as low as 24 dB(A). 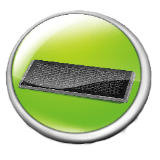 Carbon neutralizes any room odors. 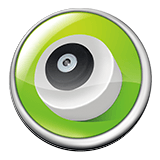 Quickly removable for easy for cleaning. 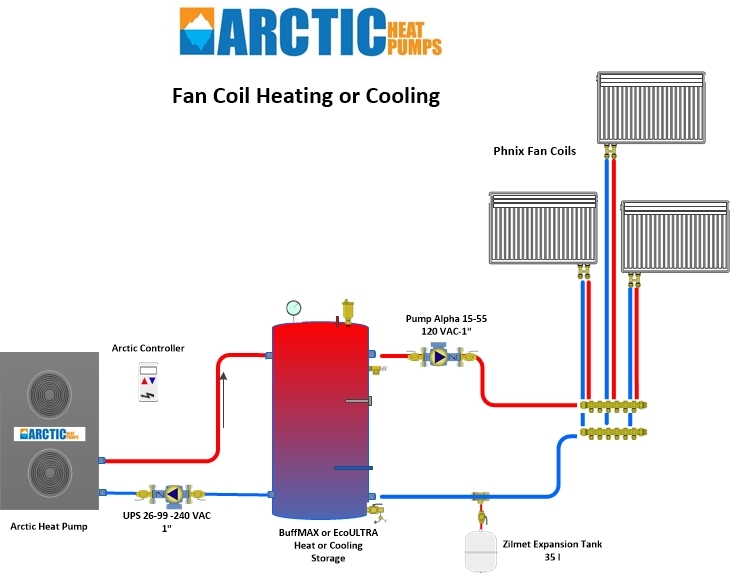 In keeping with our policy of continuous product improvement, Arcticheatpumps reserves the right to make specification and design changes without notice.